The practice of yoga is an art which requires not only physical flexibility, strength, and balance but also mental flexibility, strength, and balance too. This component of yoga is called mindfulness and is a state of elevated awareness which requires a shift of focus and the active intention to move into a more spiritual mindset. That is, the ability to move into a mental state of peace, where one can leave behind the clutter of daily life, the fortitude to face one’s fears with confidence and acknowledge our selves and our Creator, and the stability to access our inner self and find the reservoirs of love, peace, joy and compassion that connect us to the earth and each other. The cultivation of mindfulness is an important aspect of the yoga practice and one which instills a sense of spirituality that goes beyond the yoga mat. Through the insights gained from mindfulness, both you and your students can approach their practice and their lives with an inspired outlook that encourages positivity and healing. As a yoga instructor, you may probably already have an understanding of what mindfulness is but it is an aspect of yoga which can be difficult to cultivate especially since our lives are continually filled with constant distractions, interruptions, and sources of stress. Fortunately, there are quite a number of excellent resources that can help you to improve your own practice of mindfulness in yoga and which can help you teach mindfulness to your students. The following thirteen books are great resources for any instructor to use to approach the practice of mindfulness. You can use these books as both faith-based and inspirational tools which are designed to deepen your understanding of what mindfulness is. With them, you can find new ways to incorporate mindfulness into your sessions and also find inspiration for your class themes or for your inspirational openers and/ or devotionals. By sharing your knowledge of mindfulness in your yoga classes, you can help instill in your students an unlimited source of healing, introspection, and inspiration which they can utilize for life. A collection of devotional readings for every day of the year, this book is a best selling spiritual book which is written to provide spiritual guidance and to encourage a deeper relationship with God. It includes Spiritual meditations which emphasize the power of God’s love and encourage a deeper acknowledgment of God’s presence in our lives. In this book, the author, Eileen Caddy shows how insights and deep knowledge can be gained from a closer look inward. Caddy presents a unique, compelling, and informative discussion on the profound intelligence and understanding that can be gained from simple meditations. This book highlights how spiritual meaning exists all around us and inspires readers to approach life with a desire to tap into this reservoir of knowledge that is inherent in all things. Written by world-renowned yoga teacher Rolf Gates, this book is an excellent guide for how to cultivate mindfulness through your yoga practice and instruction. 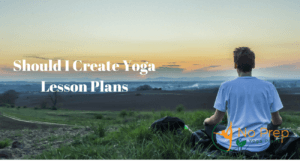 It is broken up into a collection of daily meditations that cover a complete range of topics relevant to yoga and includes profound quotes that highlight the messages. Each daily reading presents a new and meaningful topic that you can use to develop your own class meditation on. This is a must-have guide for any yoga instructor and one which you may also want to recommend to your students. In this book, author Eugene Peterson tackled the monumental task of providing an accurate and contemporary interpretation of the Bible that would be relevant and meaningful to today’s readers. The Message Bible is the result of countless hours of detailed and thorough research on the original language and existing texts of the Bible as well as the authors’ keen comprehension of the Scriptures. The interpretative work is laid out in a style that presents the word of God in a clear and modern way and gives readers an opportunity to embrace the teachings of the Scriptures with new understanding. Praying the Psalms is a short primer that introduces the works of the Book of Psalms and is suitable for faith-based or inspirational reading. The author presents the Psalms as poetic meditations and briefly discusses how they offer meaning on one’s spiritual path. This book is a nice resource for using the Psalms as a prayer which you can incorporate into the faith-based devotional portion of your yoga class. With its assortment of a wide range of subjects that cover aspects of personal and spiritual life, Meditations to Heal Your Life is a rich and deeply personal guide which encourages a development of the inner self and an understanding of our own individual strengths to overcome all obstacles and fears. This book is another great resource for both students and instructors alike and can be an extremely motivating resource that reminds us of the powers of a mindful approach to living. In his book, Emotionally Healthy Spirituality, author Peter Scazzero explores the topic of mature spirituality and how it differs from an immature spirituality which is all too common even amongst those who seem to be spiritual people. In his follow up book, Emotionally Healthy Spirituality Day by Day: A 40-Day Journey with the Daily Office he further develops this idea by outlining methods for developing a stronger and more mature relationship with God. His eight-week guide is a useful means to invite a more structured and disciplined communion with God which ultimately can transform your existence and give you a more defined and meaningful purpose in life. Another amazingly inspirational resource is a magazine published by the Silent Unity ministry. Throughout the world, The Daily Word provides important and relevant readings that have been the source of guidance and spiritual encouragement for thousands of people for more than 125 years. The Daily Word is offered on a subscription basis and includes affirmations and messages that underscore our divinity as individuals and offers prayers and devotions to invite Christ into your life and share his loving and powerful Presence with others. Yet another invaluable guide by author Rolf Gates, Meditations in Intention and Being is the essential guide to learn how to take the principles of mindfulness that are learned on the yoga mat and apply them throughout daily life. Gates presents his treatise in the form of daily meditations over the course of one year and covers the primary principles of mindfulness with thoughtful exploration and exercises to develop and hone this vital aspect of practicing mindfulness on a regular basis while living a full and enriching life. Susanna Harwood Rubin, a recognized expert in the teaching of yoga and in South Indian Hindu mythology, brings her unique and colorful approach to the practice of yoga and mindfulness with her guide for daily readings to incorporate the philosophical principles of yoga into daily life. It is an excellent tool to use for both personal growths and for inspirational readings for your class with every day reading combining both the physical and mental elements of mindful yoga practice. With a lighthearted approach and an informal and often witty style, Scott Ginsberg invites his readers to share some of his personal revelations and introspections that he has compiled from his practice of Hot Yoga. In his book, Ginsberg shows how the fears, challenges, and accomplishments we encounter on the yoga mat, are not unlike those that we encounter in our daily life. His style is encouraging and will give you a fresh look at the roles of mindfulness and yoga in practice. 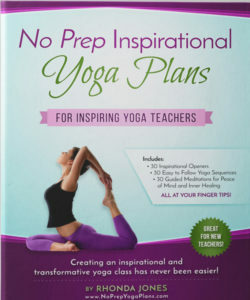 In this book, those who wish to offer a faith-based yoga course can find a great deal of inspiration and insight which is presented in short, easy to understand devotionals. 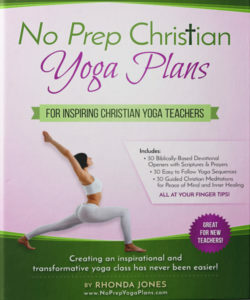 This unique guide blends a deeply Christian approach with the practice of Yoga and includes Scriptural messages with specific traditional yoga poses. This is a valuable book for any yogi who wishes to learn about how the practice of yoga can be combined with devotional worship. Until Today! : Daily Devotions for Spiritual Growth and Peace of Mind is a New York Times Bestselling book which is a motivational and inspiring guide for how to approach life with confidence and a resilient spirit that will allow you to grow and develop inner peace. The book is filled with wisdom and encouraging anecdotes that show how every obstacle, failure, disappointment, and fear can be approached in a new way. With a strong desire and dedicated intention, all things can be made possible and from this, we also can gain enlightenment, stability, and a mindful perspective on life. Author Iyanla Vanzant has written another book which is included in this list and which is of particular importance to any person of color. It is designed to explore the specific and unique challenges that people of color may face and offers ways to approach these topics with an understanding that is rooted in spirituality and a guide to maintain and cultivate balance and peace. While this book is written for people of color, it’s devotional messages are relevant to all people and may be of particular interest to instructors who have a diverse and multiracial group of students. 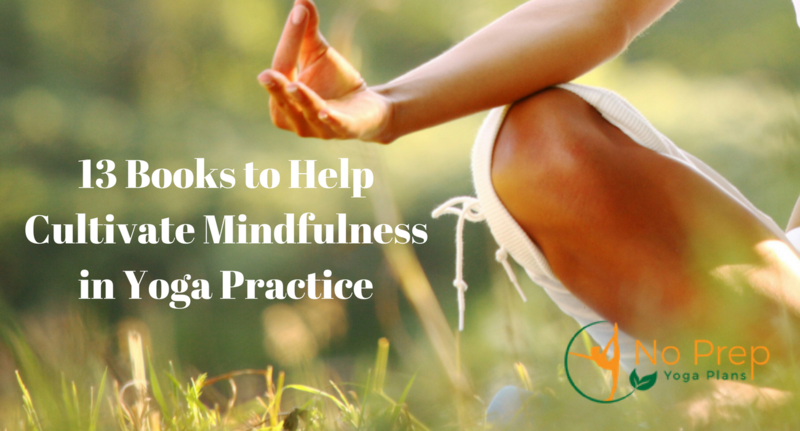 All of these books offer deeply meaningful and practical insights that have a spiritual or faith-based perspective that you may find very useful in your yoga practice and instruction. 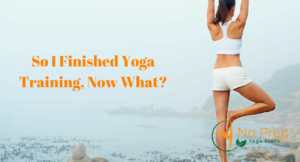 Keep in mind also that the No Prep Yoga Plans by Wellspring also offer 30 faith-based devotional or inspirational meditations for your use and which serve as a basic and fundamental resource for developing the mindfulness aspect of your course. 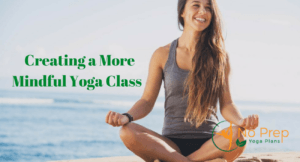 The resources outlined here, however, serve as additional tools which yoga teachers can explore to further develop the cultivation of mindfulness both in their individual practice and yoga course instruction.